I finally filed my BlogPaws report, enjoy! 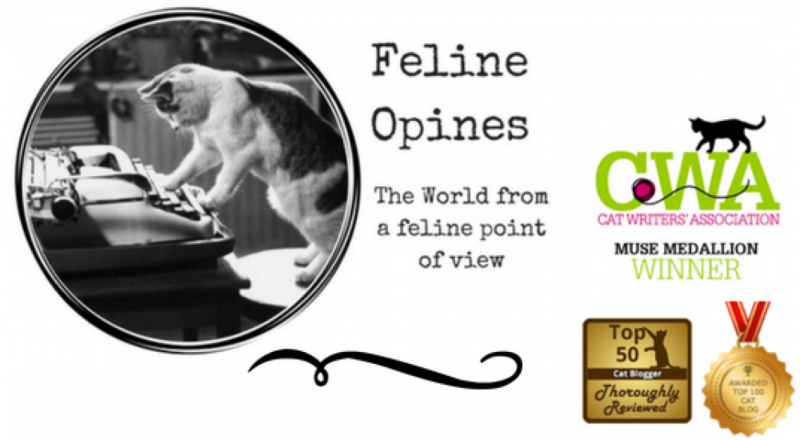 This entry was posted in BlogPaws, Cat blogs, cats and tagged BlogPaws, felineopines by Feline Opines. Bookmark the permalink. That was a darn good report pal! Why thank you! I do apologize for being so late but what’s a cat to do, it’s hard to get good human help these days! Alberto, we think you should apply for the role of feline ambassador next year … creating the job just for you, of course! Now that is an idea, I would love to be the feline ambassador and I’d even wear my journalist outfit! Why thank you, I take my job as intrepid reporter very seriously. I agree. My humans tried to get me in a Halloween costume. It didn’t go well. For them!